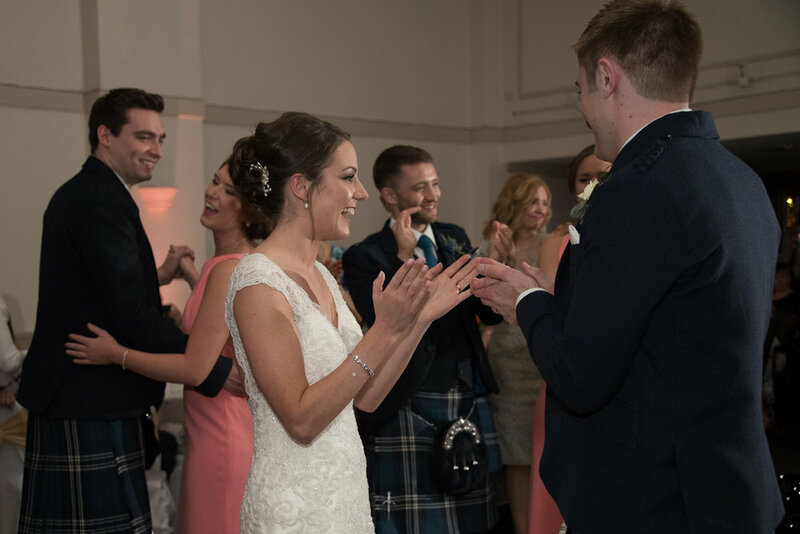 The team who do the weddings at Balbirnie House have won numerous awards. Whenever I work there I see the team working hard to ensure everything goes perfectly for the couple. What makes your wedding day magical is a combination of things. A beautiful venue alone would be useless without a good team to make sure your day goes smoothly. To me, Balbirnie is a king at this. Whenever I visit they seem so attentive and helpful, not just to the bride and groom but also to me and the guests. Nestled amoungst parkland in Glenrothes, Balbirnie House is a hidden gem. The gardens make me think of a Jane Austen story and it's dramatic rooms provide a grand backdrop to any wedding. My wedding photography is documentary and captures the wedding day with a minimal amount of disturbance from me. I just catch the day as a story that they can look back on in years to come. I don't spend hours doing formal shots. 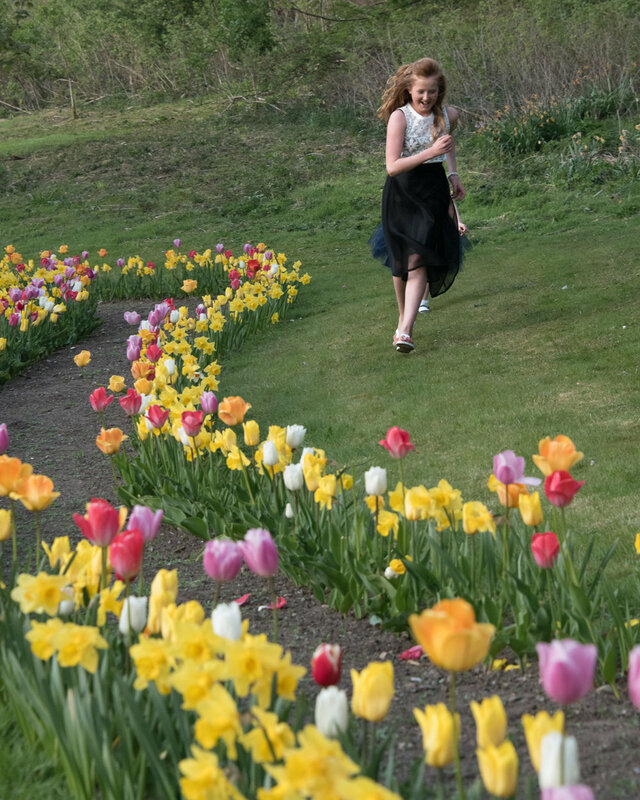 I love that Balbirnie has these stunning gardens that couples can just explore themselves. 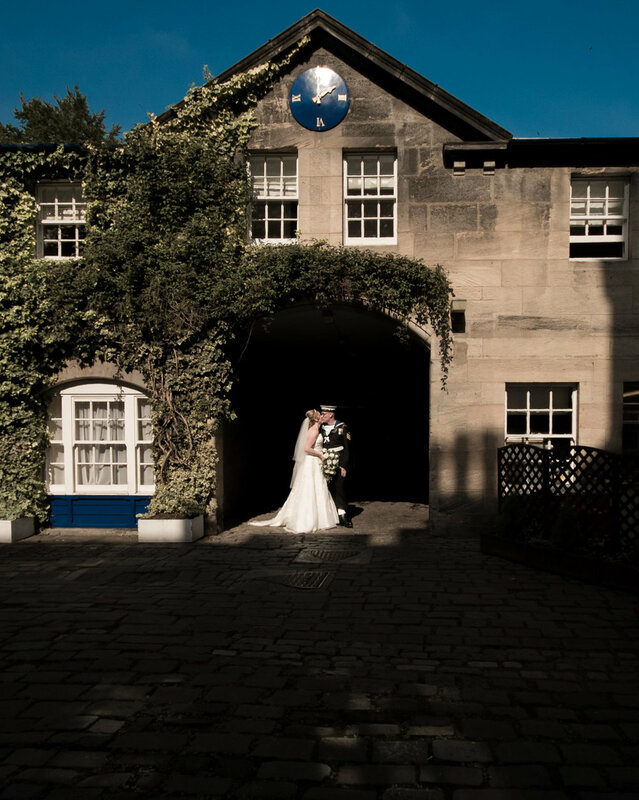 When Alison and Gordon got married there, we explored the swing, the lawns and the clock tower. Their three kids came back and forth to them as we explored. The couples I photograph often want a relaxed and fun wedding day and opt to mingle with their guests instead of doing a formal line up. Balbirnie is great for this, as the guests can spread between the drawing room, the library bar area and the lawns. 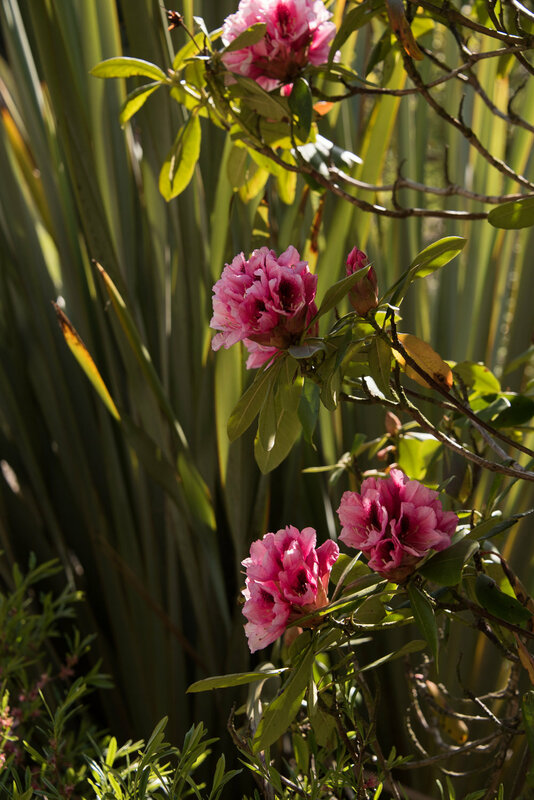 They mingle, drink and eat surrounded by beautiful flowers, music and a 18th century building which inspired Edinburgh's New Town. There are an abundance of places for group photographs inside and outside so if the wedding day get's hit by Scotland's famous rain, guests can just move inside and still have a fantastic backdrop for photos. A very big benefit for any Scottish wedding venue. What can you say! They have a dog, this dude is Balfour and he has his own Instagram account. I do love an animal appearance at a wedding. I had horses at my own wedding and I always love it when an animal makes an appearance. So far, it's only been horses and dogs. Maybe someday I'll get a wedding cat! 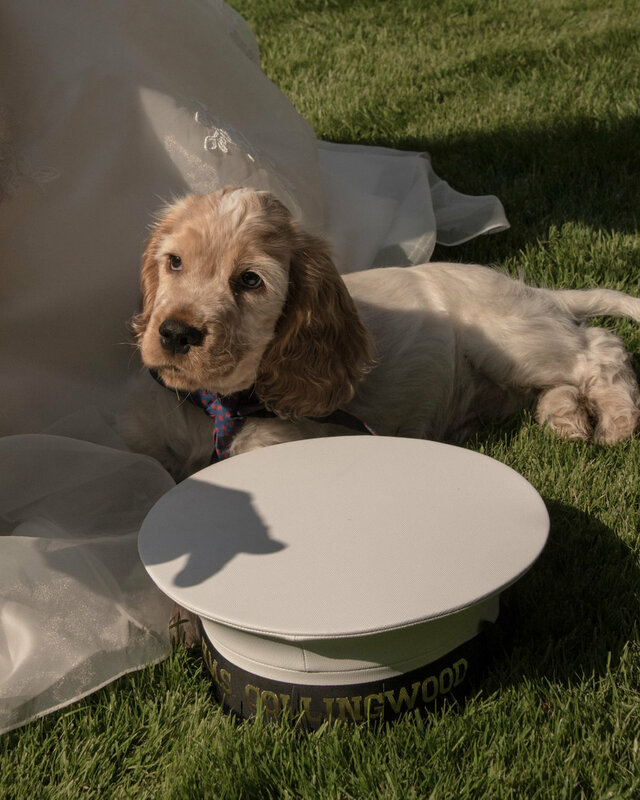 So moving on from cute puppies, there are 3 main rooms at Balbirnie where you can say "I DO". I love the Long Gallery, with it's high arched ceiling, it is the central room of the old house, designed in 1777 it has beautiful lunette windows in the arches which shed beautiful light on the ceremony. It's a grand room but it also feels intimate and homely and takes up to 100 guests. This room has charm and character and I think it really signifies what Balbirnie is, homely and beautiful! Balbirnie also has the Orangery and the Ballroom for more modern options. The Orangery was built in 1999 and is dominated by it's impressive triangular prism rooflight. 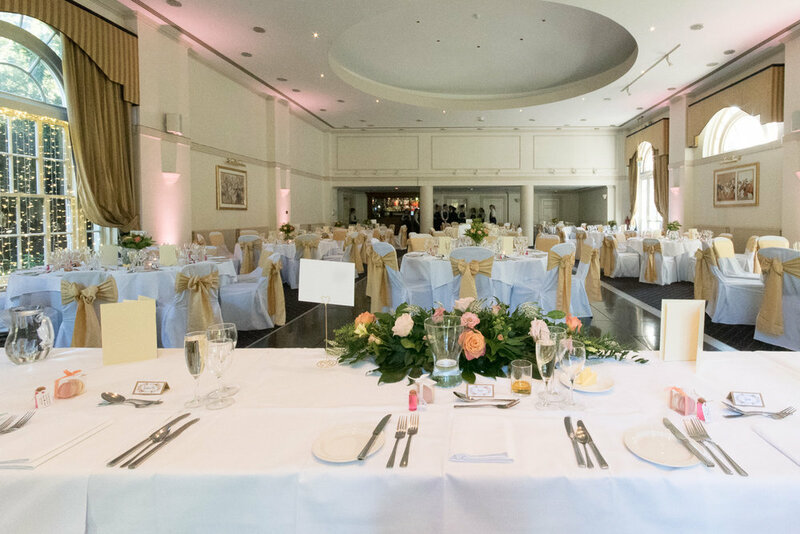 The room has a lovely airy feel and is great for a slightly bigger weddings as it take up to 150 guests. The Ballroom is in the lower basement part of the building and is a great room for your meal and party or for a really large wedding. It's spacious and has an adjacent small breakout room and outside space which is great for anyone who just wants to have a few quiet moments away from the main party. They have also recently brought in an exclusive use package and they've renovated their courtyard area. The new courtyard area, sponsored by Carlsberg, is designed around the slogan "If only Carlsberg did outdoor dining areas". It has overhead fairylights, rugs, heaters and blankets. I'm very excited to find out how all this will be used by weddings in the future. 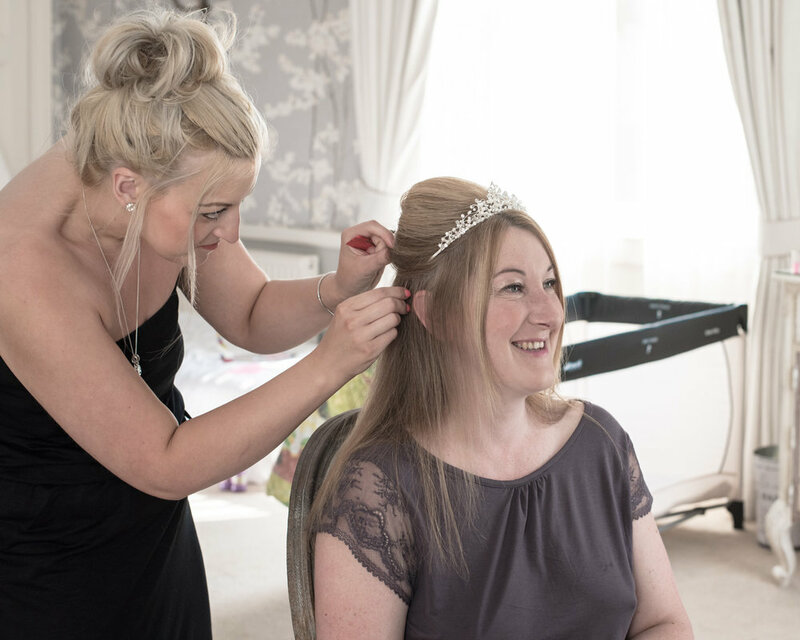 My first impression of Balbirnie as a photographer was during bridal preparations. I'd entered Alison's room where she was getting herself and her three young kids ready. I was amazed at her calmness and amazing organisation but the room was still hit by the chaos of kids. I started to do a little bit of tidying up in some areas of the room ready for capturing some shots of Alison before the wedding. As I was working, the wedding coordinator arrived, got out a key and said 'Have you seen the second room yet?'. She then opened up a second amazing room which was perfectly tidy for Alison to get photos in. 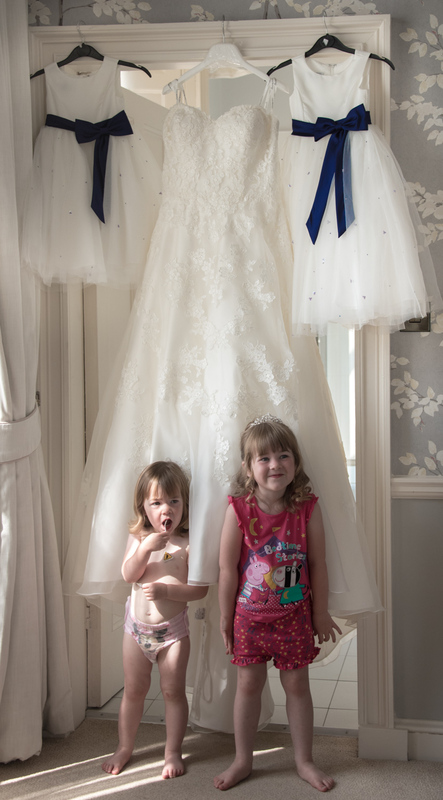 The kids instantly explored the room and we got some beautiful shots of Alison and her kids before the ceremony. This little extra detail just made life that bit easier for everyone. So simple, yet so clever!